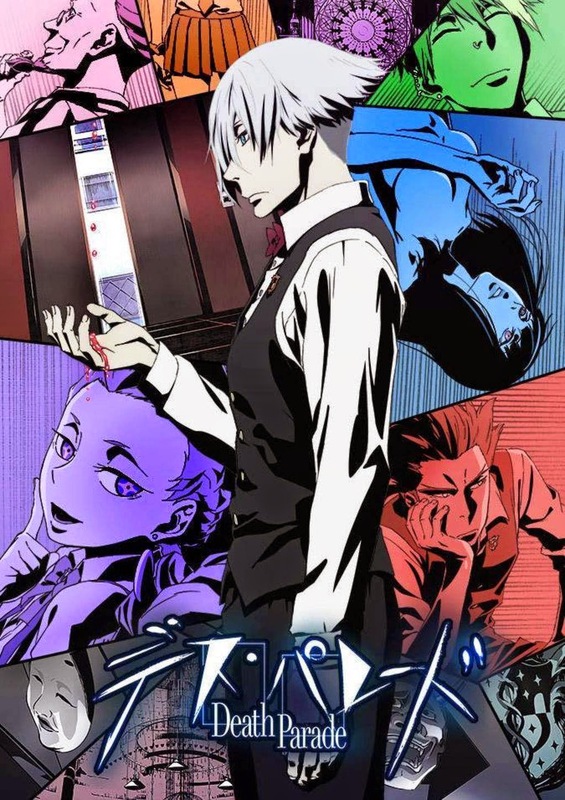 Death Parade hit our screens during early 2015. The overall plot follows Chiyuki a young woman with no memories of who she is, upon waking up in a strange room she is tasked with assisting Decim with his job as arbiter. the two work at the Quindecim bar, however, this is no normal bar, its purpose is to act as a tempory limbo between life and death. When two people die in the real world they awaken in one of these bars and they must compete in a game, their performance in the game will be judged by the arbiter and he/she will decide whether the players go to haven or hell. These games are played because someone only shows their true self when they must fight for their life. Chiyuki must help Decim in his judgment of the player’s souls, but she must also deal with the harsh reality that is the afterlife and what it does to even the best of people. My Review: What I was expecting was not what I got with this show, when I started it I was expecting a run of the mill comedy/action anime but what I got was something much better. Despite its bright and vibrant tone, there is a very grizzly and clever look at the human psyche. Each episode comes with a new scenario, a new game and a new dark truth about humans. All the characters are interesting and have a great many things to learn about them. I would like to say that this is a show that everyone can watch, however, it has a tendency to become very grim and heavy. The ending is particularly powerful with quite a shocking plot twist. All in all, Death Parade is a powerful phycological anime with some very original ideas.